Rent houses and villas in Pomas, the South of France with private pools. This modern three bedroom villa is situated within a small estate, which comprises twelve houses. It has been simply but tastefully furnished and now offers a relaxing and cosy ambience. La villa du Prevot is a beautiful house spacious and fully equipped which can accomodate up to six people. 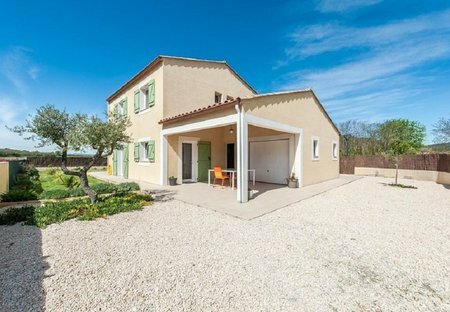 The house is located in Pomas, a nice languedoc typical village very close of Carcassonne.